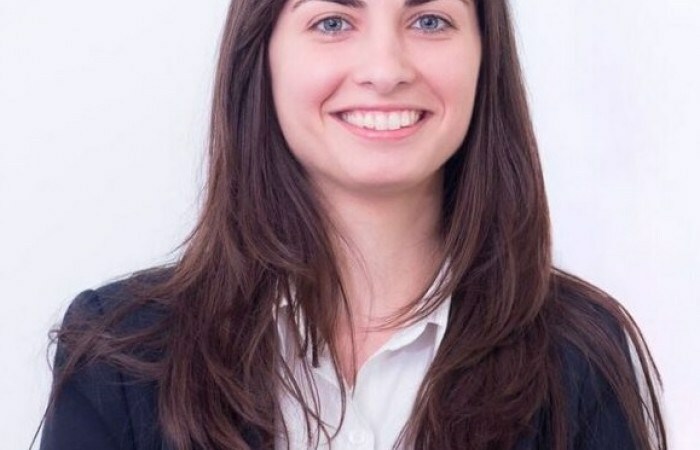 I am Herolinda Zenuni, currently a Master of Accounting student at Flinders University in South Australia and former student at the American University in Kosovo. My involvement with IF began in February 2013 with the first Wiki Academy Kosovo event. Together with my partner, Baton Xhuli, we wrote the article on Natural Resources of Kosovo and were rewarded with an Award for Significant Contribution. The benefit of the award was minor compared to what we gained from the experience. Our gain from the experience was nothing compared to what our country and the community at wide gained from the whole event. As a result of Wiki Academy Kosovo, more than 30 articles about Kosovo were published to Wikipedia within a weekend, resulting in a significant increase of the information available online about our country. Living outside of Kosovo and especially in other continents where Kosovo is not in the list of countries where you come from, you tend to appreciate even more events like Wiki Academy Kosovo and Digital Kosovo that try to integrate our country into the digital world. Alongside the greater benefits of this event, participating in Wiki Academy Kosovo got me involved with the IF community and lead me to the second great experience – becoming an IF Digital Innovation Scholar.Receiving the news that I had been selected as one of the IF Digital Innovation Scholars still remains on the list of the happiest moments I have experienced so far. Becoming an IF Scholar, apart from the financial benefits in contribution to our tuition, it also enabled us to be part of a community that continuously strives to improve the state of technology and digital vision in our country. As an IF Scholar and previous participant in Wiki Academy Kosovo, I volunteered in the second event of Wiki Academy in 2014. The volunteer experience was just as great as the participation in the first round. It is always incredible to meet people that are willing to contribute towards their community and country, and the two events of Wiki Academy Kosovo along with many other IF activities have been very successful in improving our status in the digital world. We live in a time where information has great power and the primary source of information is the internet, so whatever information is on there is what matters. IF together with many volunteers has done a great job in improving the amount of information available online about Kosovo and I am proud to have been a part of it. Our youth is currently heavily isolated without the possibility to travel to the rest of the world and interact but this is only physical. I believe there is great potential in using technology to promote our country and our talented youth and break the physical boundaries we have with other countries. I hope more and more organizations and people contribute towards initiatives such as the ones IF has undertaken up to now.